Have a long afternoon chat over three tiers of local products with our deliciously decadent Sussex Afternoon Tea for Two. 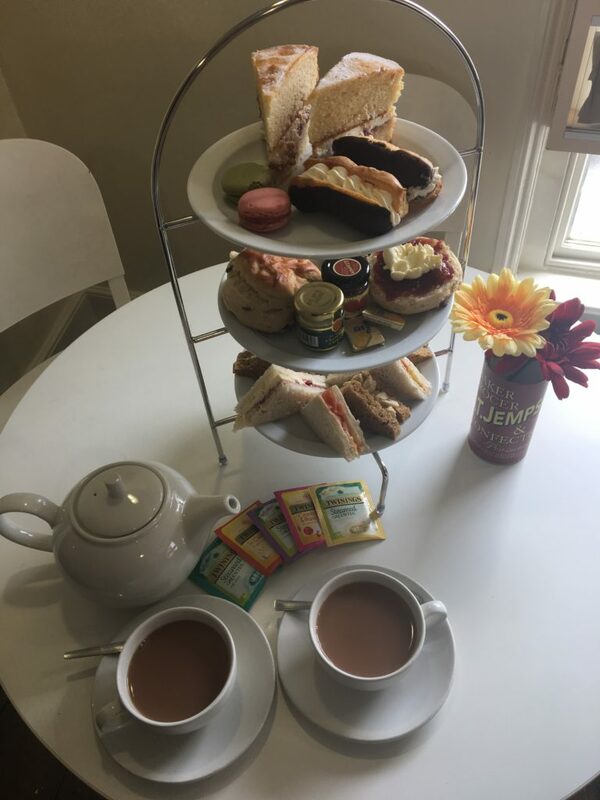 Home made sandwiches, large fruit scones served with clotted cream and strawberry jam, mini chocolate éclairs, slices of our ‘Gateaux of the Month’ and delicious macarons all served with a pot of tea for two! Served in our Peasmarsh restaurant, Rye, Hastings and Bexhill Cafes 12pm – 4pm Monday to Saturday.